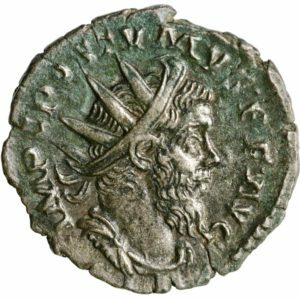 Antoninianus dated 260-265 AD, struck under Emperor Postumus in Cologne. Grading: VF. Rev. : Hercules. Reference: Sear (2005) 10946. 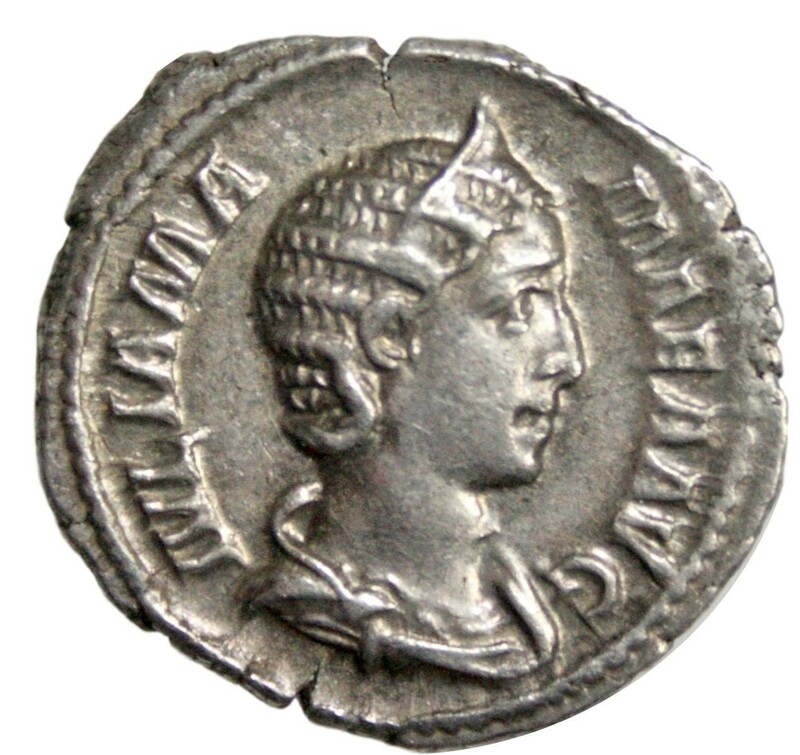 Weight: 3,32 g.
Follis dated 312 AD, struck under Emperor Licinius in Nicomedia. Grading: VF/XF. 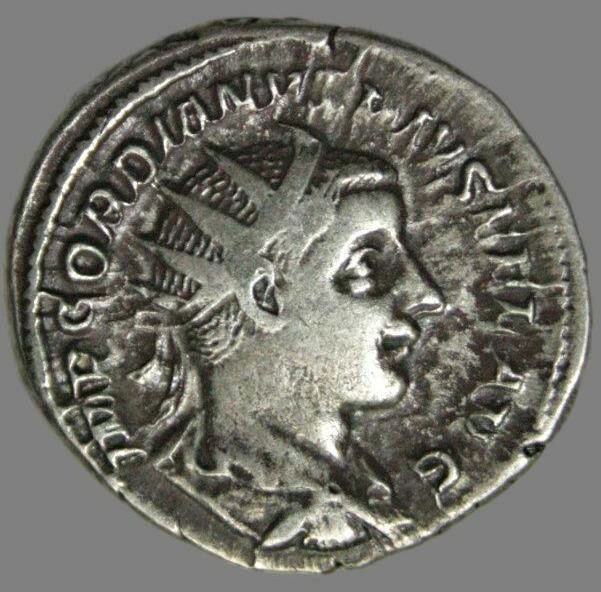 Reference: RIC VI Nicomedia 74. 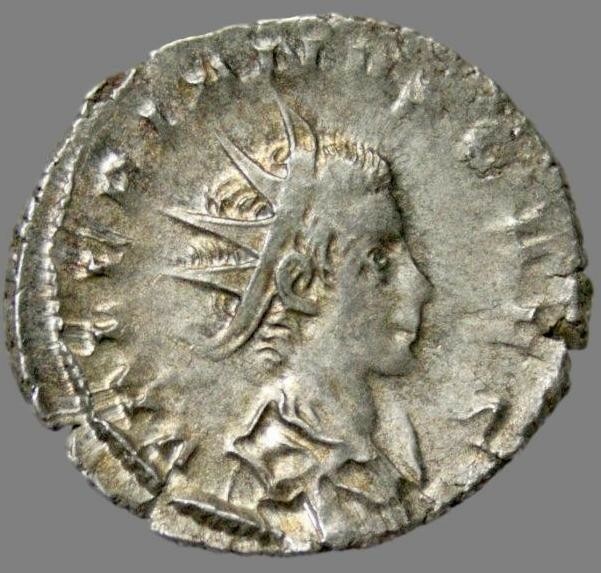 Weight: 4,14 g.
Billon antoninianus dated 273, struck under Emperor Antonian in Antioch. Grading: F/VF (still traces of original surface). Rev. : Sol with foot on seated captive. Reference: Sear (2005) 11525. 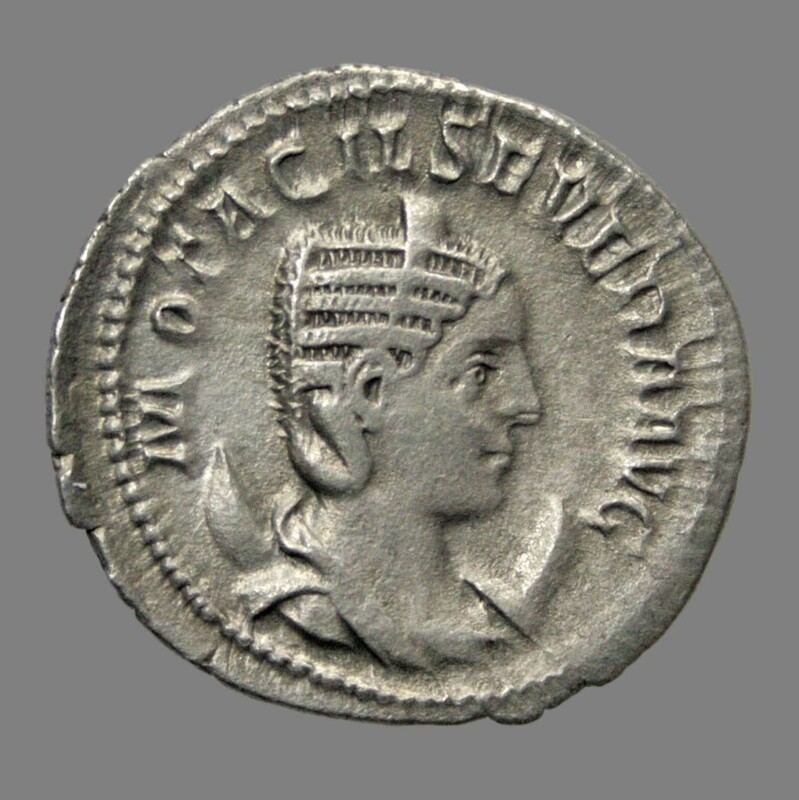 Weight: 2,04 g.
Denarius dated 218-220 AD, struck under Julia Maesa in Rome. Grading: VF. Rev. : Fecunditas. Reference: Sear (2002) 7749. 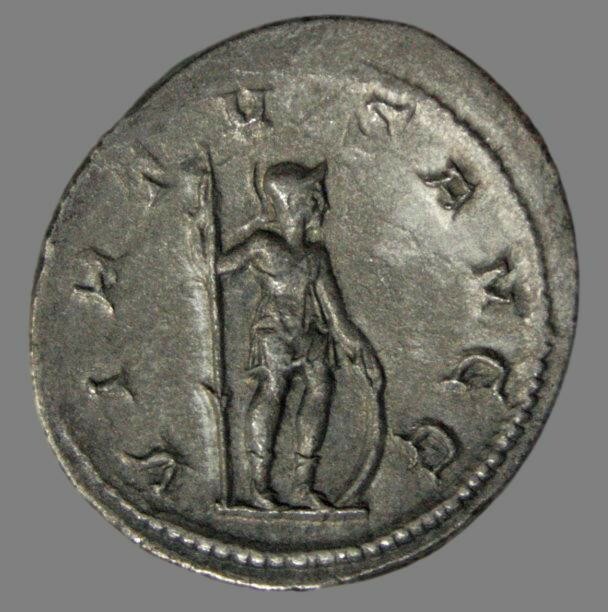 Weight: 3,03 g.
Denarius dated 205 AD, struck under Emperor Caracalla in Rome. Grading: VF. Reference: Sear (2002) 6859. Rev. : Mars. 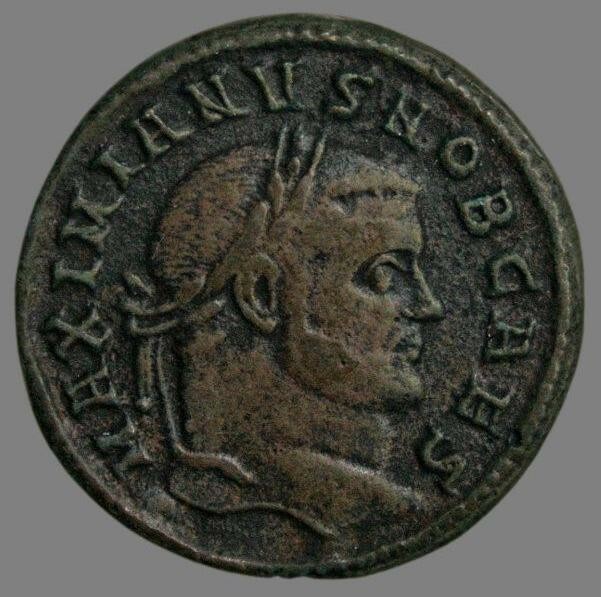 Weight: 2,99 g.
Billon follis dated 296-299 AD, struck under Emperor Galerius (as caesar) in Aquileia. Grading: VF. Rev. : Genius. Reference: Sear (2011) 14360. 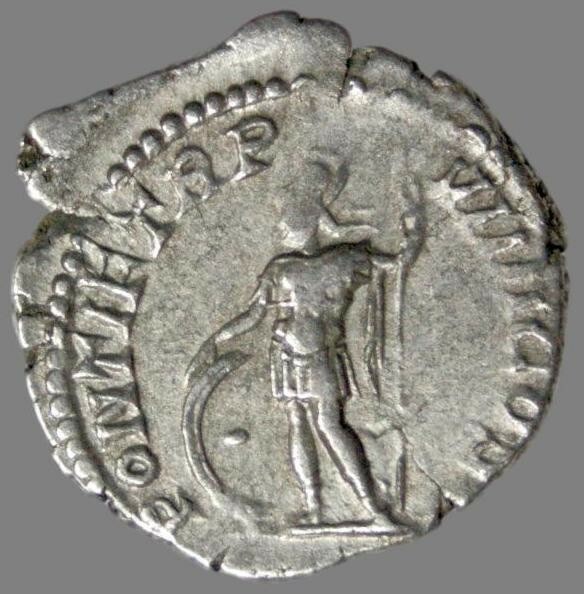 Weight: 9,46 g.
Antoninianus dated 248 AD, struck under Emperor Philip I in Rome celebrating the thousandth anniversary of Rome’s founding. Grading: VF. Reference: Sear (2005) 8961. 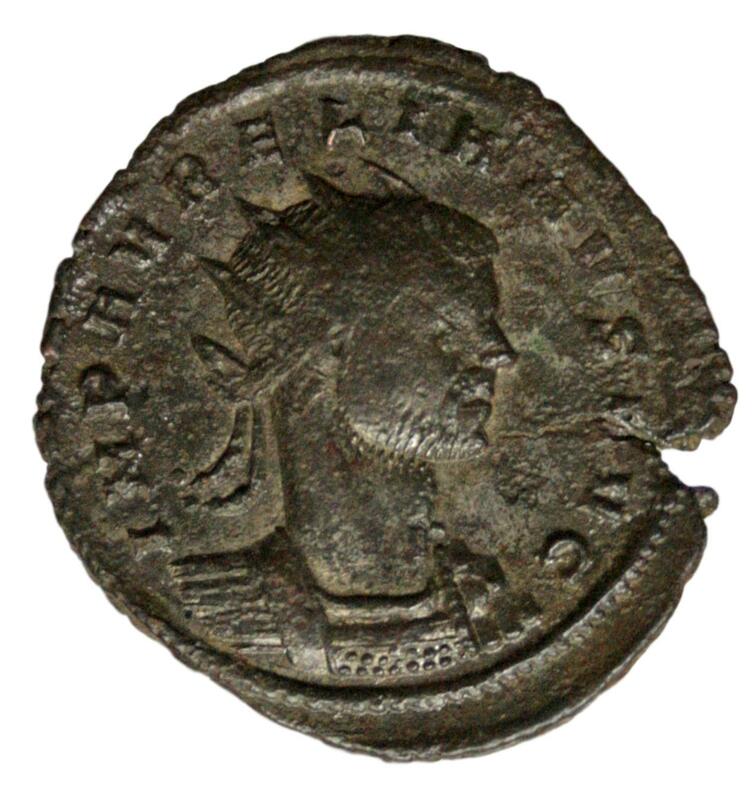 Weight: 4,0 g.
Antoninianus dated 257-258 AD, struck under Emperor Valerian Jr. in Cologne. Grading: VF/XF. Rev. : Infant Jupiter on goat. Reference: Sear (2005) 10731. 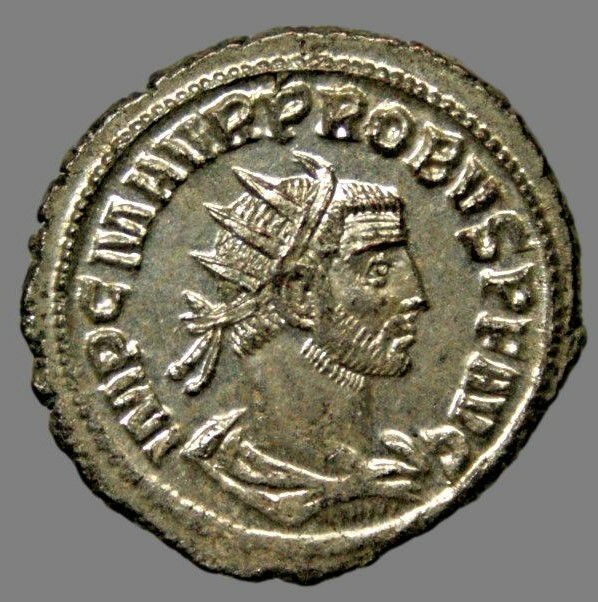 Weight: 3,14 g.
Antoninianus dated 252 AD, struck under Emperor Volusian. Grading: VF/XF. Rev. : Virtus. Reference: Sear (2005) 9776. 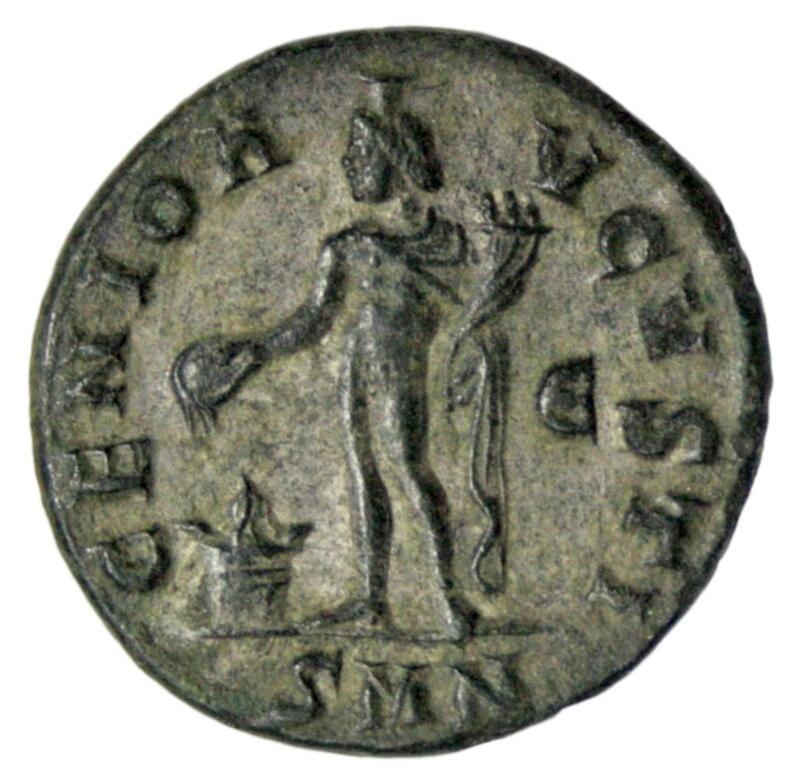 Weight: 3,56 g.
Antoninianus dated 241 AD, struck under Emperor Gordianus III in Rome. Grading: VF. Rev. : Sol. Reference: Sear (2005) 8672. Weight: 4,12 g.
Antoninianus dated 280-281 AD, struck under Emperor Probus in Antioch. Grading: VF. Rev. : Woman stg. right and Probus stg. left. References: Sear 12021, RIC V-2 Antioch 925. 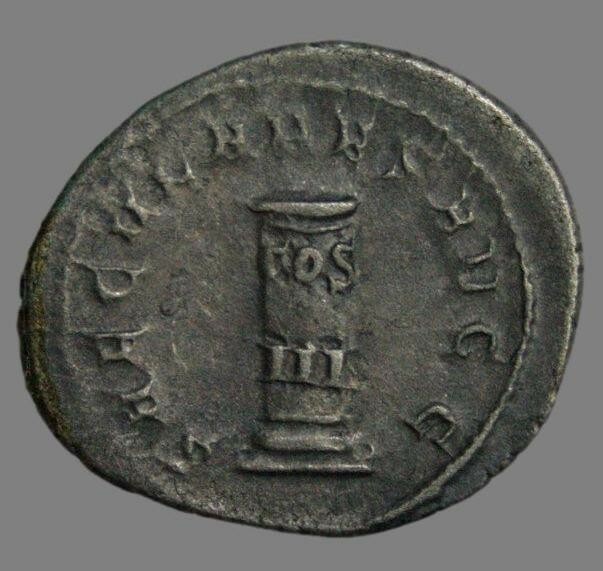 Vekt: 4,3 g.
Antoninianus dated 245-247 AD, struck under Otacilia Severa (wife of Emperor Philipus I) in Rome. Grading: VF. Rev. : Juno. Reference: Sear (2005) 9152. Weight: 4,11 g.